via this auction where you'll find more pics. 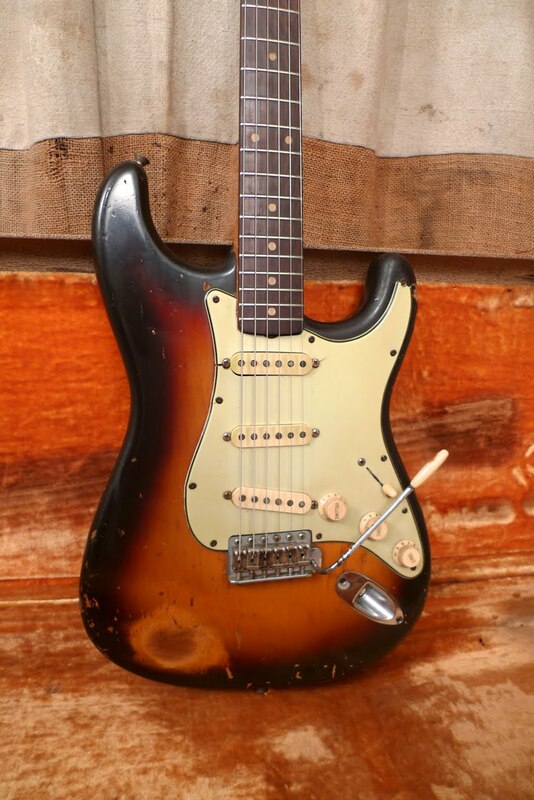 waitebt (RSS) "For sale is this awesome Stratocaster from 1961. Someone really played this one, but they never messed with it. It's all original and still plays great and sounds fantastic. Slab brazilian rosewood fretboard! Green guard! The frets are original and show alot of wear but still have some meat on the bone. 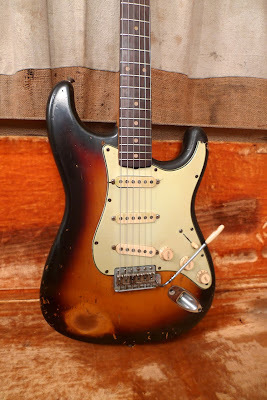 The guitar is covered with bumps and bruises and finish checking from years of use and the pickguard has some cracks in it. Everything under the hood is correct and there is no routing or anything like that. Original case included."